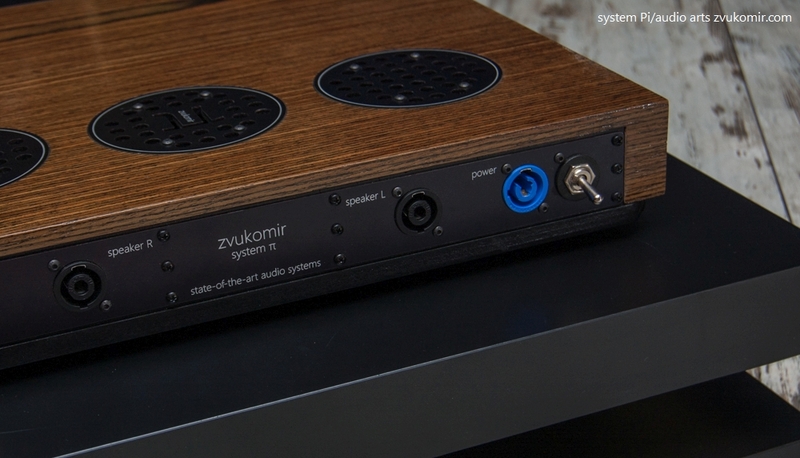 System Pi is a compact, minimalist stereo system, with inspired craftsmanship and a special respect towards the quality of the sound (this is Zvukomir as you know J). 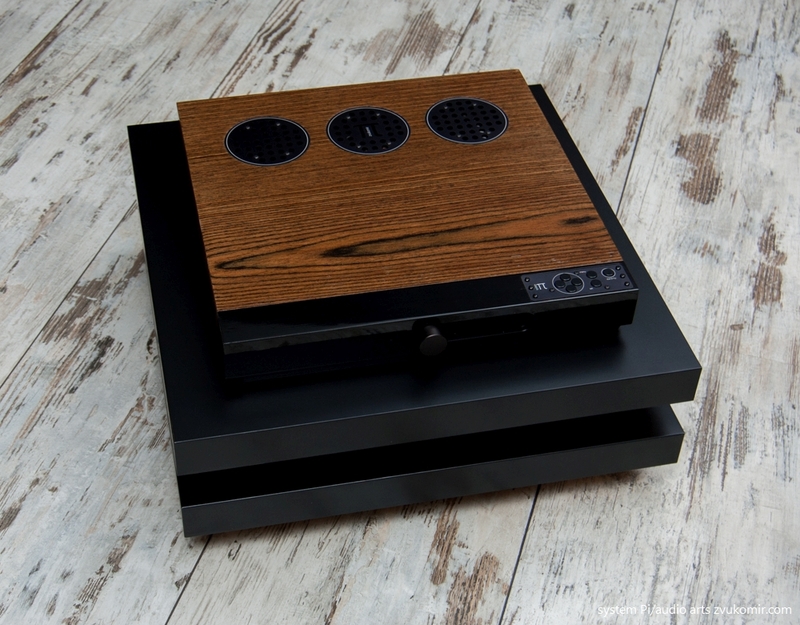 It is a complete audio project – two speakers, a box of the electronics and the accessories. 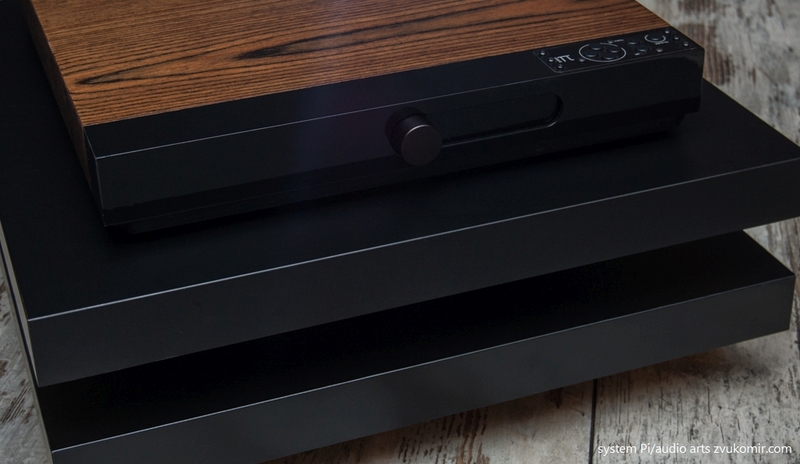 Only a source of digital signal is needed – the system is designed for a quality music server / computer and / or CD-transport. 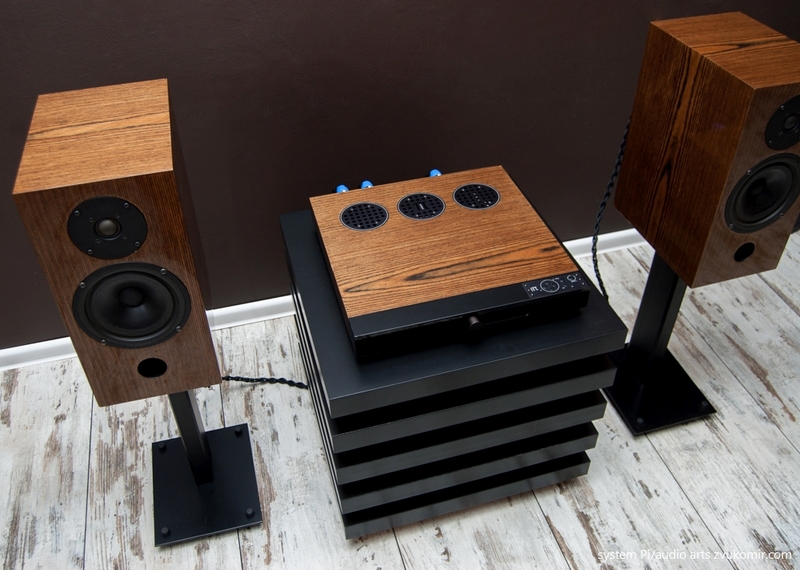 System Pi follows the basic concept of System One – DSP based control with active filters, amplifier for each of the four speakers connected without any passive components on the signal path, well thought out and selected cables and remote control. The name Pi (as the number π) is not random, it is related on many levels with the project. Also the name is connected with certain mathematical principles that I used to build these systems. The overall vision presents the circle and the square, as well their entry into each other. This project is custom made, I created it with a great pleasure. 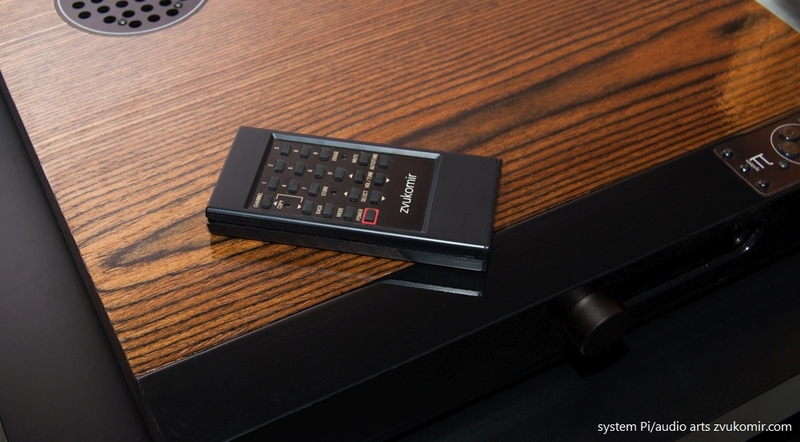 This thin ascetic-looking box with dimensions 430х430mm harbors the electronics. It is made of wood, quality Baltic plywood, acrylic and aluminum. 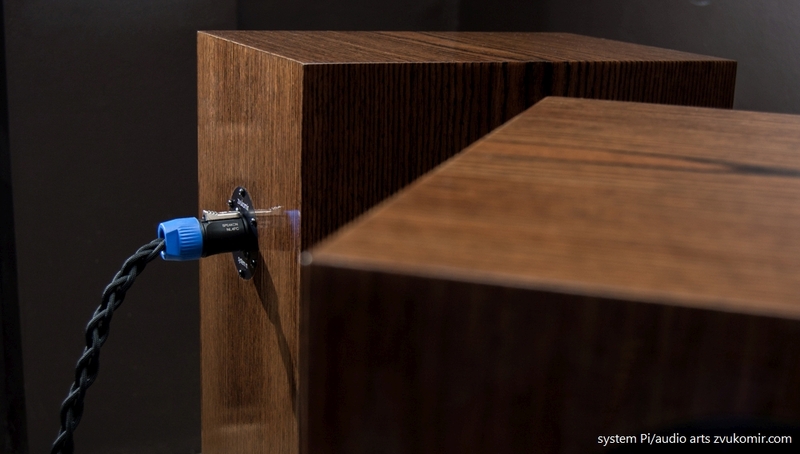 The finish is a fine-line oak veneer and a varnish. The control Panel points up. This vision is quite comfortable and protecs the buttons from curious children’s hands, which in this case was important J. The panel is made of black anodised aluminum with white inscriptions. On the front panel you can see only the black aluminum knob, which controls the sound volume and the asymmetric glass covering the display. The display itself is visible only when the system is turned on. To complete my idea for the vision, the black front panel and the glass covering the display should have the same color and reflectivity. Many, many times i have tried to achieve this effect of the right color and level of transparency, but finally the result is wonderful. On the picture the air vents are shown. 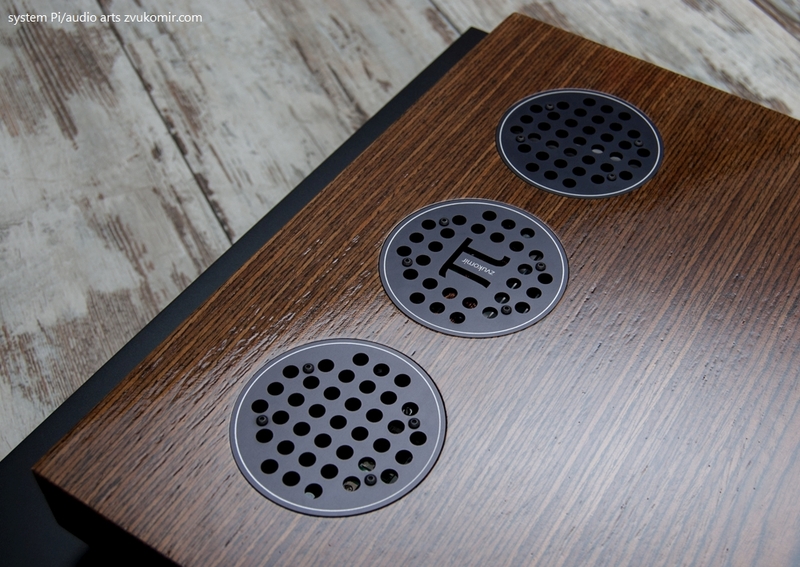 The circles are made of anodized in black aluminum with an engraving in white. All surfaces covered with the quality veneer bring a sense of natural texture and tree, and all black surfaces are smooth. The rear panel. On the picture you can see the speakers’ and power connectors. All of them are Neutrik, they are a part of the concept of a separate cable system inside the system. The rocker switch is for power on/off. 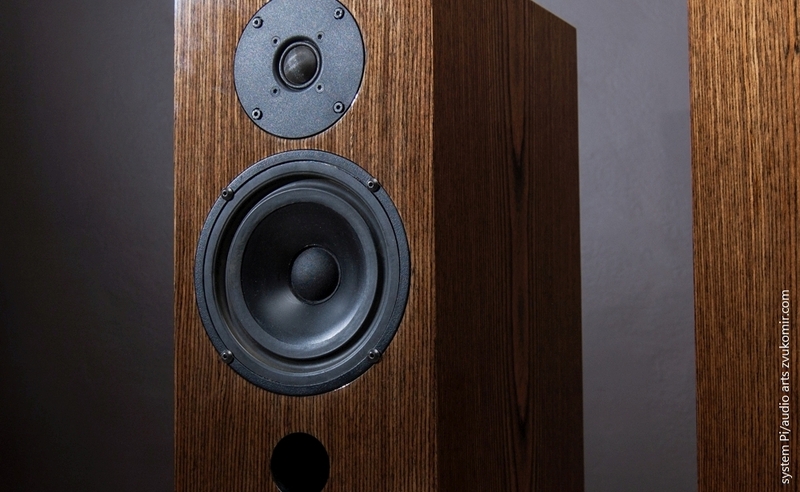 The bookshelf speakers are two-way, ported and heavy braced. The midbass is customized by me 17cm PP cone SEAS driver. It has bigger magnet system, diecast basket, four-layer voice coil, inverted low-loss rubber surround, paper dust-cap etc. 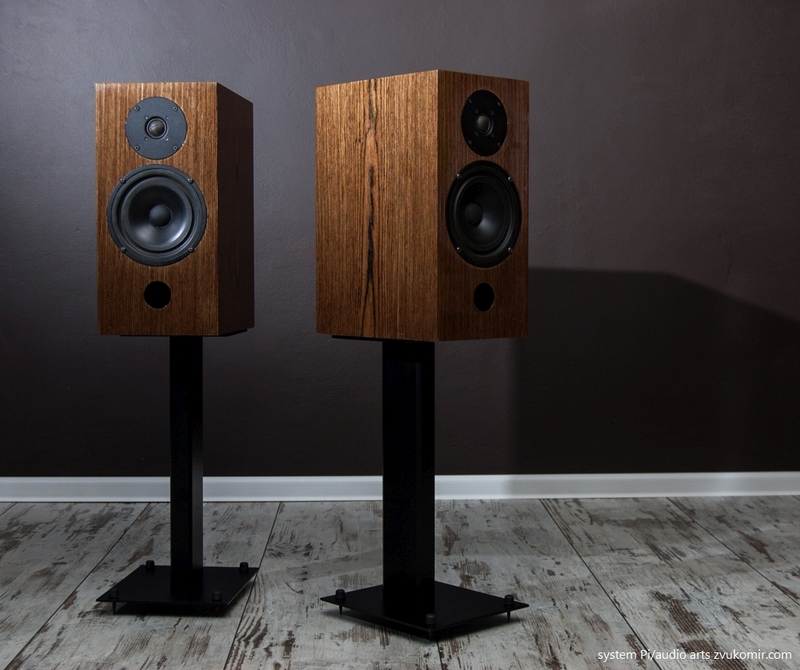 FS is 29Hz and the performance is without any high frequency break-ups. 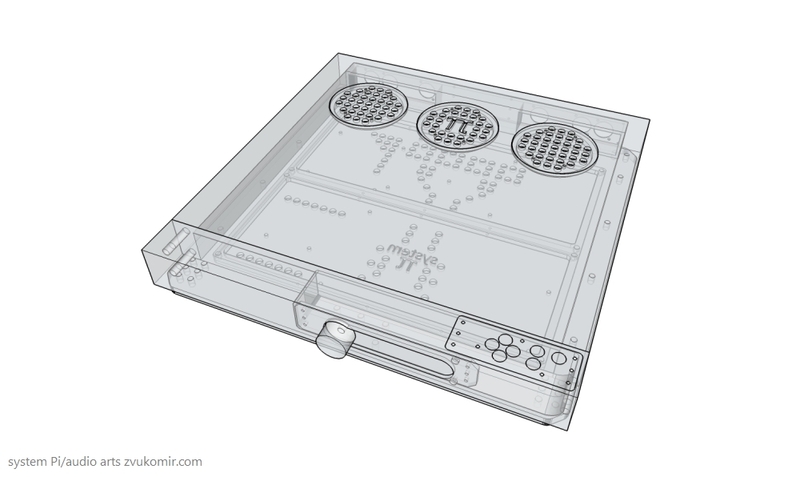 The aluminum panel on the back of the speakers for connection with the cables. The cable system is almost the same as that in System One, but the implementation is simpler – the same attention towards the workmanship, the signal path and a minimum number of different materials on the signal path. 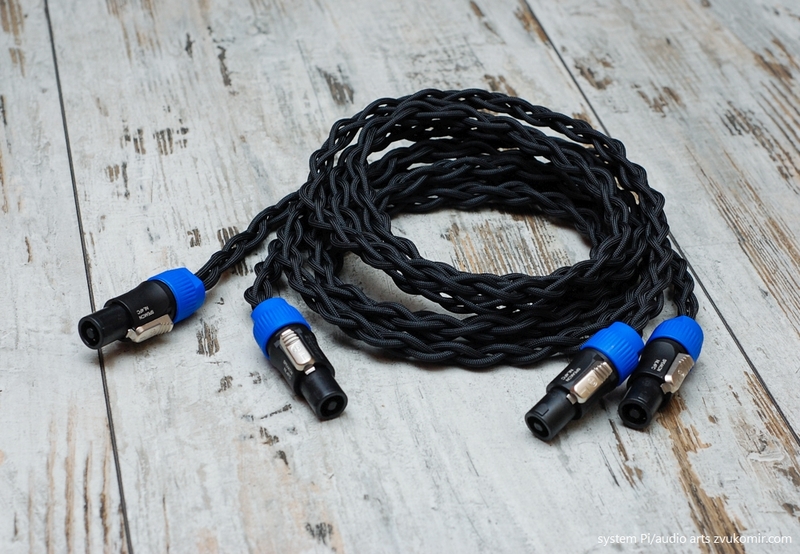 These are speaker’ cables with the locking Neutrik connectors. 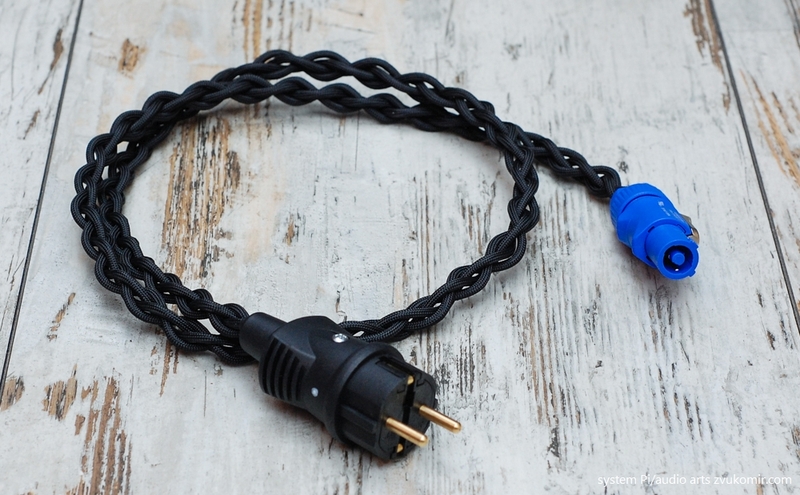 The power cable is marked with a small white dot on the plug, this indicates the correct phase. I chose the panel among my collection of old but never used remotes. It is made in Japan and has a foursquare vision. I have it as a part of a brand new, but now absolutely useless, japanese satellite tuner made in 90’s. Stage from the design of the chassis.